There is a phenomenon that has appeared in the media. Plastic surgeons are marketing the use of “stem cells” in their fat grafts. Fat grafting is a well established and scientifically proven technique to transfer tissue from one location to another and is very effective. 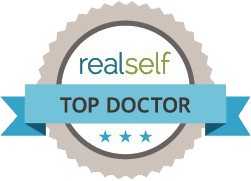 There is also evidence that fat grafting does contain many fat cells as well as stem cells. I have become aware that claims have been made recently regarding “stem cell” fat grafting to the face which is implied to be as good as facelifting. This is clearly not true and is deceptive marketing at best. Please consult your American Board-Certified Plastic Surgeon rather than go along with the hype that one sees in the media. Check out the link in the body of the text above.